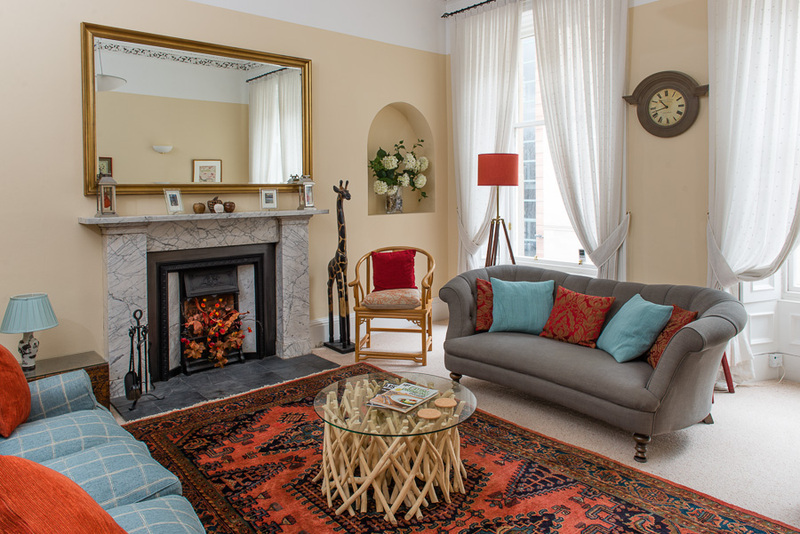 This luxury self-catering apartment is situated on the first floor of a quiet street close to a host of Edinburgh’s finest theatres and filmhouses. From the main entrance, the view to the east is dominated by Edinburgh Castle, which you can visit after a short walk to the Royal Mile. 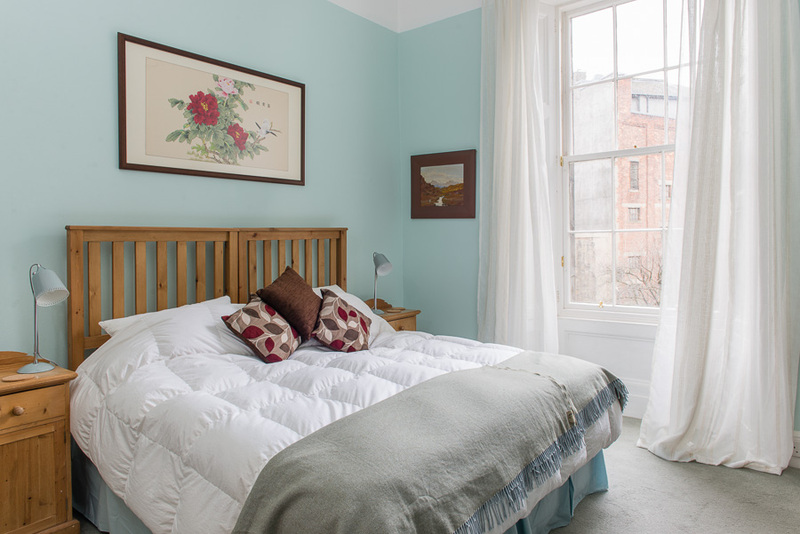 Cambridge Street is ideally placed to explore both the Old Town and the New Town, and there is a range of restaurants in the vicinity to suit all tastes and budgets, from the Michelin star Castle Terrace restaurant to the Italian pizzerias on Lothian Road. 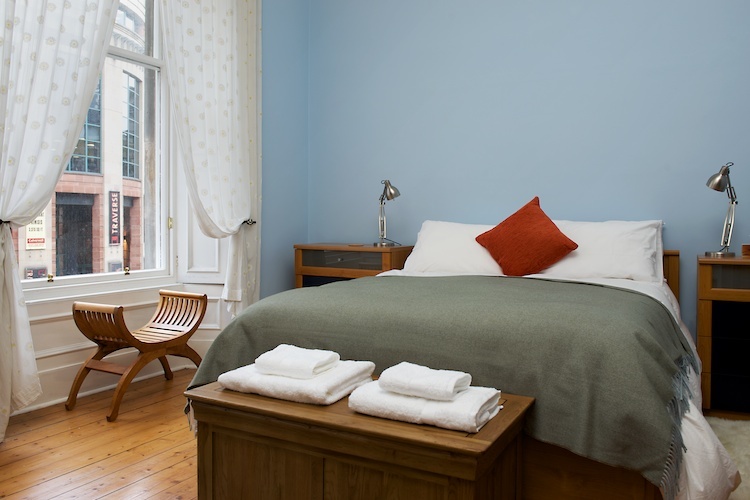 All the apartment’s rooms are large; the main bedroom has a king size bed, lots of wardrobe space and two large windows facing southeast. 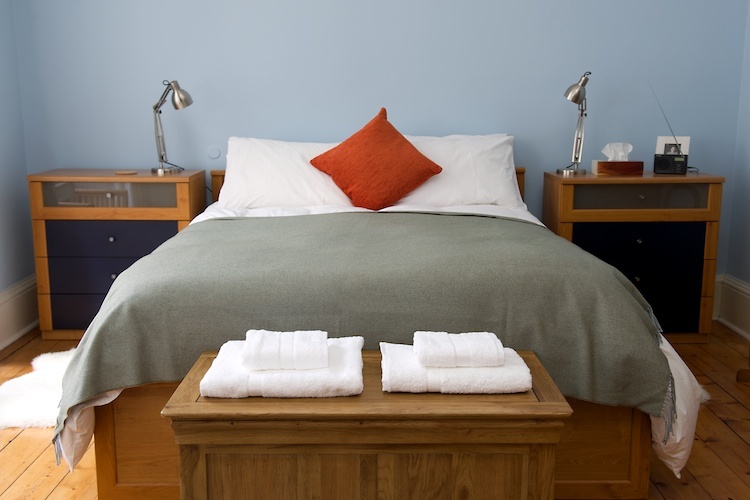 The second bedroom can be made up with two single beds, or they can be combined to form one large double; you will have the option to specify your preference when you confirm your booking. 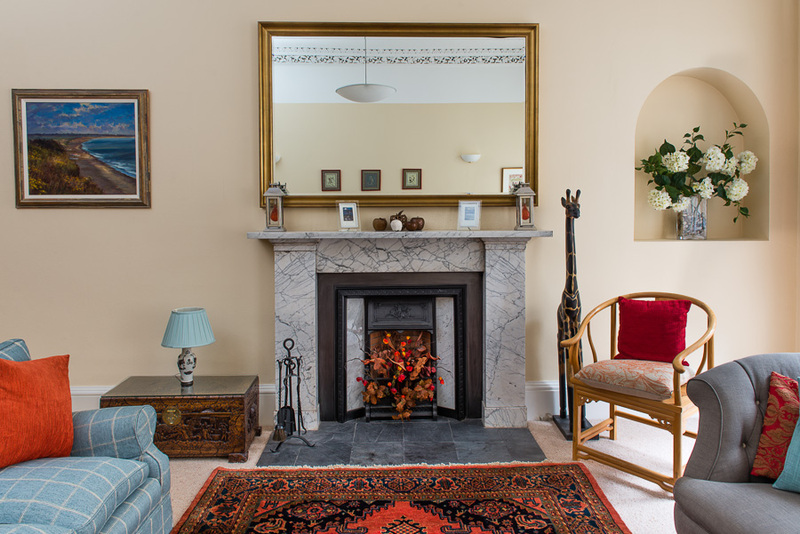 This room is away from the street and looks out on to gardens at the back of the property. The living room, like the main bedroom, has two windows overlooking the street. 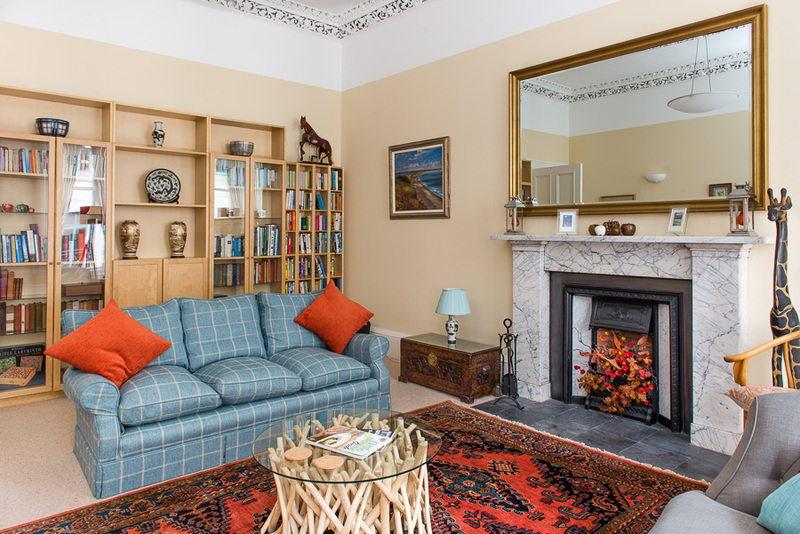 There is a traditional fireplace, a pair of sofas, a good selection of books, DVDs, games and a large TV for when you need a night in to relax. The TV has HDV and an internet connection. 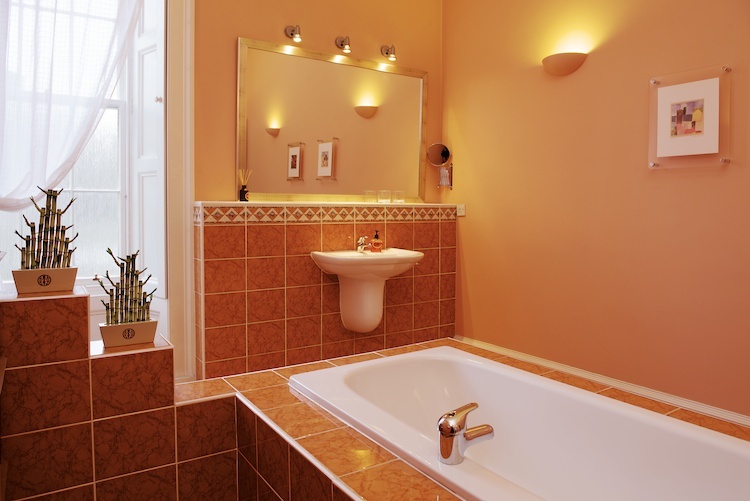 The bathroom is tiled throughout in bright orange tiles which make it feel warm and inviting. 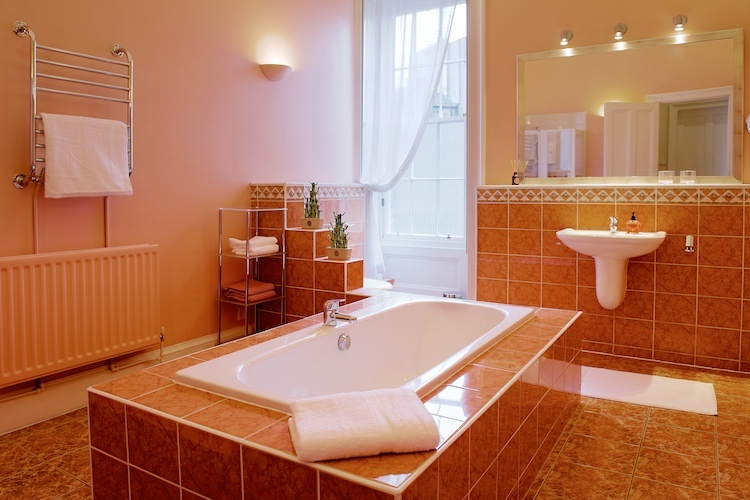 There is a separate shower in the bathroom and a second toilet off the hall. 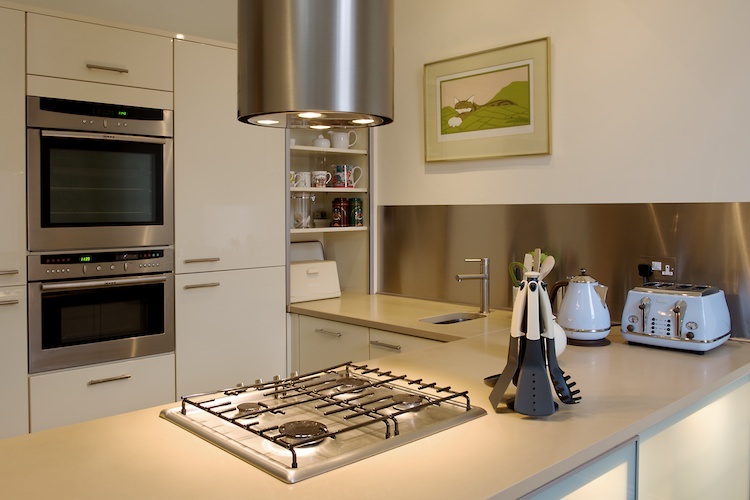 The kitchen is well equipped with modern appliances, cooking pots and utensils. 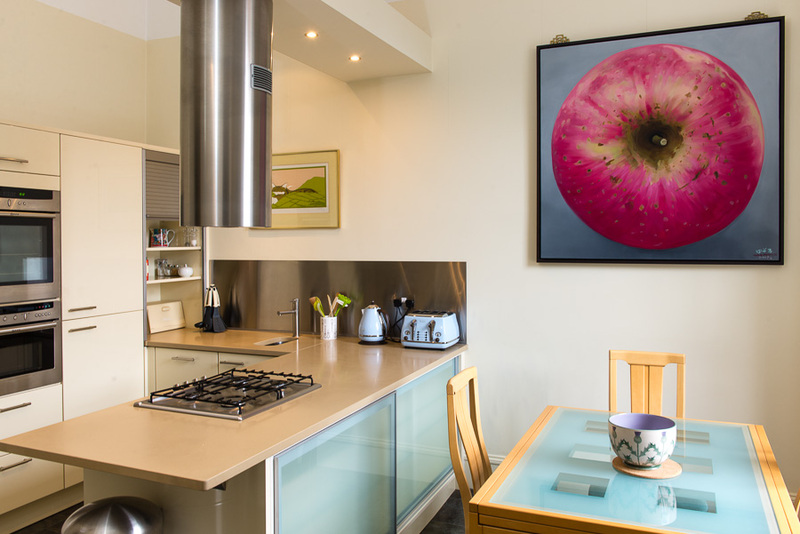 A utility room is annexed off the kitchen and there is a cupboard which houses the washing machine and tumble dryer. 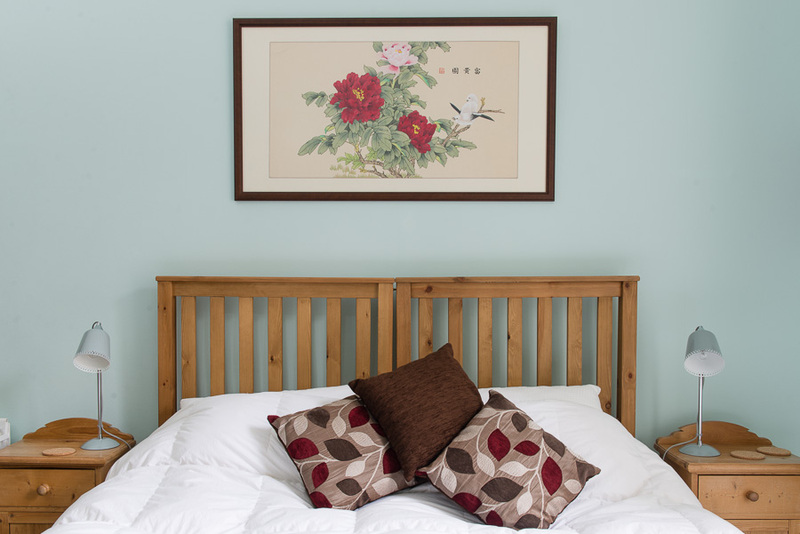 The property has an air bed to accommodate an additional person. 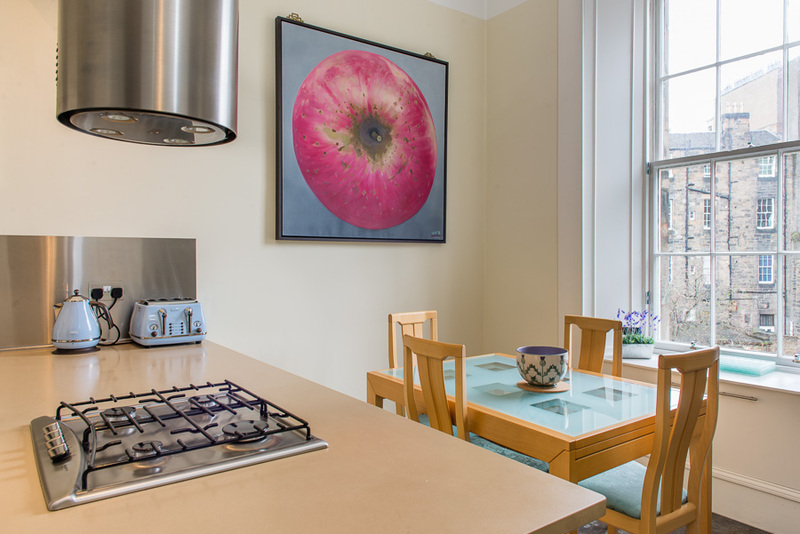 Cambridge Street is not far from parts of the University of Edinburgh or where many of the students like to live, and it is also conveniently located for visiting Edinburgh International Conference Centre.